Housing original Thomas Day craftmanship and country sophistication. 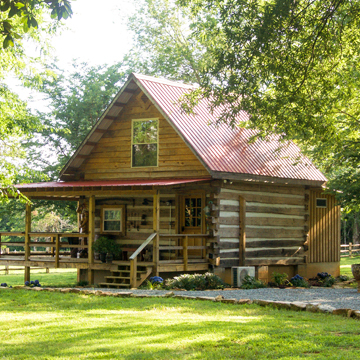 Guests have their own private cabins on the grounds full of rustic charm and plush furnishings. 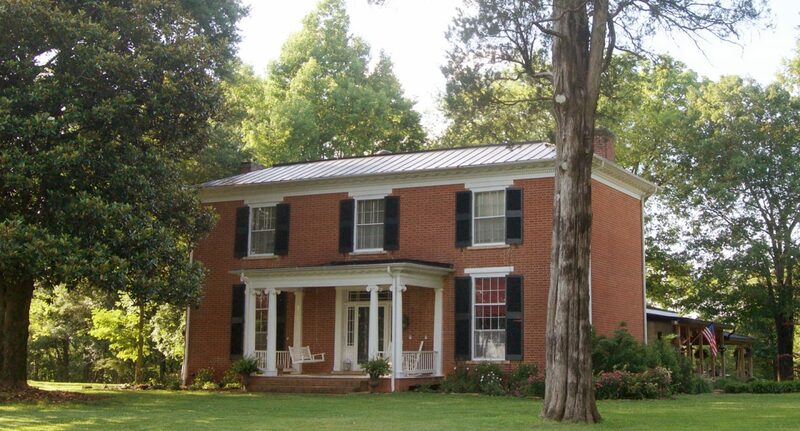 Enjoy the history of Halifax County and the surrounding area in southern style. Guests will stay in one of our cozy cabins on the grounds. All cabins have a full bathroom and complimentary water, coffee and muffins in the morning. Click on one of the cabins below to see the amenities & rates. 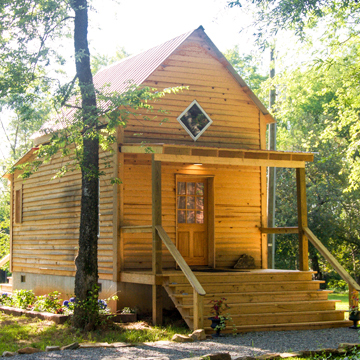 This cabin sleeps up to 4 adults and has a full bathroom & kitchenette. The cabin has a king size bed in the main area and two full size beds in the loft. This cabin sleeps up to 2 adults on a queen bed and has a full bathroom, mini fridge and microwave.